Acupuncture is a proven, effective, and thorough version of healthcare dating back over 3500 years. With the proliferation of East Indian health techniques tied back millenium ago finding their way to the Far East, Acupuncture's modern roots are tied to the Chinese culture, hence Traditional ChinNeedling With Moxaese Medicine (TCM). TCM and Acupuncture have evolved from continuous observation, testing, and critical thinking over generations mapping out the subtle, intricate networks and interrelationships that make up our bodies physcially, chemically, and emotionally. As acupuncture proliferated out of China, different regions developed their own forms; Korean, Japanese, French (Auricular) to name a few. Regardless, the fundamental basis for all acupuncture remains the same; this is the unobstructed, uninhibited flow of the body’s energy (Called ‘Qi’ (Chinese) or ‘Ki’ (Japanese), both pronounced “Key”). This is very much like Western Medicine’s concept of an optimal homeostatic state. Qi can be affected by things such as weather, emotions, trauma, diet, lifestyle, constitution, and over/under exertion. When the body is somehow overwhelmed and cannot keep up to the demands of “being at ease”, we can find the body finding itself in a place of “dis-ease” (any number of conditions may result). In TCM diagnosis is attained by using thorough history, careful questioning, observing the tongue and/or abdomen, taking the pulse noting very specific qualities, and subsequently palpating (feeling) for various tender points along the acupuncture tracts (called Meridians). Aqualified practitioner will be able to determine where and how the acupuncture session should be focused for each individual, allowing for very patient specific treatment. There are over 360 acupuncture points at pre-determined locations on the body, each with its own therapeutic significance. Very fine, disposable needles are inserted at specific points on the body in order to achieve desired results. By inserting these needles the practitioner is in effect creating a neurological, immumological, and endocrine (hormone) response in the body. Approximate time for needle retention during a treatment is 20 minutes (though this can vary). The number of treatments will generally vary according to the type of condition as well as how the individual is responding. 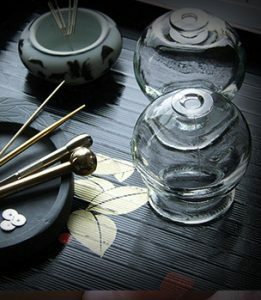 Other modalities such as auricular (ear) acupuncture, electro-acupuncture, cupping, Intra-Cutaneous Needles (ICN), accupressue (Shiatsu), and moxibustion may also be used during the course of treatment. 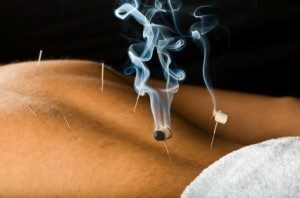 Thinking of acupuncture as only being used to treat pain really just isolates one of its many uses. In 1997 the World Health Organization (WHO) and the National Institute for Health (NIH) recognized acupuncture as being an effective form of treatment for over 40 conditions, based on the WHO’s accumulation of research and study from the late 1960’s (originally put to task by President Richard NiGua Sha Toolsxon after a trip to China at that time). It is important to note that Acupuncture can be used for so many things that the list would be as long as the Merck Manual is thick. Given this, acupuncture is sometimes used as a “stand-alone” therapy, sometimes as a “health maintenance” technique, but can always be used as a complimentary treatment to any other form of health care! Whether this be a patient’s nausea while undergoing cancer therapy, symptom moderation in a Parkinson’s patient, to curing debilitating menstral cramps; there is a place for Acupuncture in any condition’s treatment regime.